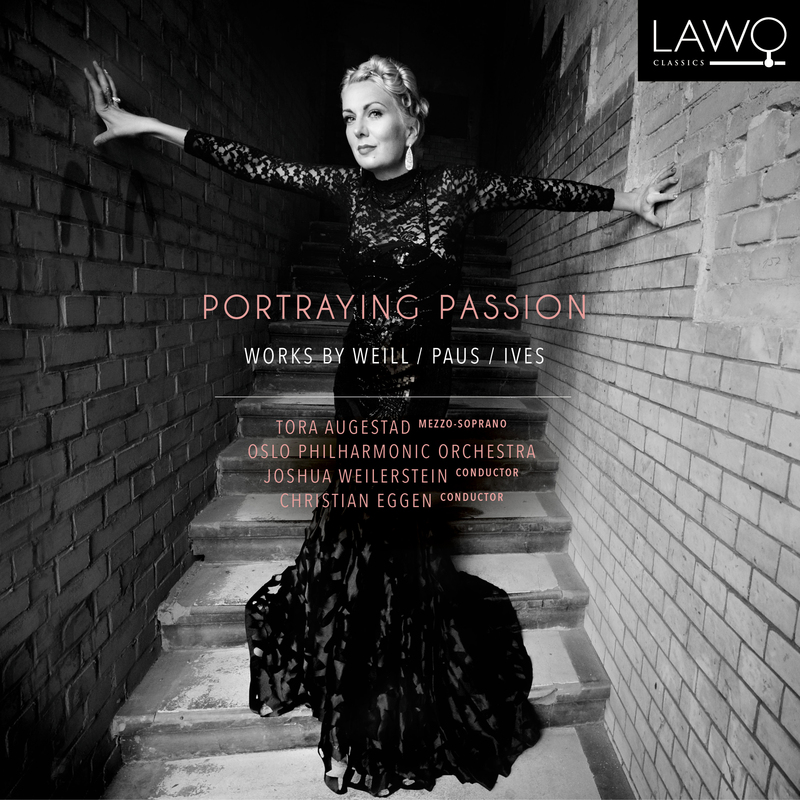 When Tora Augestad releases a musical portrait together with the Oslo Philharmonic, there’s nothing less than Kurt Weill, Marcus Paus, and Charles Ives on the menu. Augestad's repertoire for “Portraying Passion” takes the musical qualities of modernist, individualistic composers and places them squarely within the context of the 21st century. Paus’ contemporary composition enhances Ives’ visionary dissonance as well as the contrasting melodic shifts of Weill’s orchestrations, yet brings something entirely new to the table, with its startling text and cabaretesque presentation. Parker and Brecht could just as well walk arm in arm down the conceptual pathway of understated satire, counterbalanced by the ethereal, transcendental text of Ives’ songs, forming a complementary whole. Add Augestad’s unique approach to these works into the equation, and the listener is served with a program certain to make them re-examine any former assumptions, and delight at the outcome. And therein lies the timeless dimension of this mezzo-soprano’s considerable artistry. Norwegian mezzo-soprano Tora Augestad is an artist equally at home in concert halls, theater and cabaret stages, and contemporary music arenas. Through commissioning new works and through collaboration with her various ensembles, she continuously seeks new challenges and the exchange of artistic ideas. Theatrically convincing with a compelling personality, her vocal capabilities defy easy classification. She has received the Lotte Lenya prize, and has collaborated with Ensemble Modern, Klangforum Wien, and Christoph Marthaler, among others. Additional contributors to this CD: Oslo Philharmonic Orchestra, conductors Joshua Weilerstein and Christian Eggen, and soloists Magnus Staveland, Torbjørn Gulbrandsøy, Halvor F. Melien and Olle Holmgren.